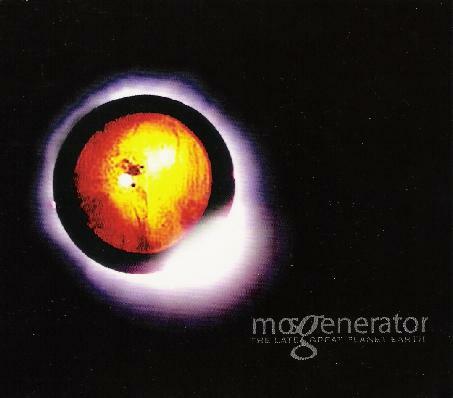 Mos Generator - "The Late Great Planet Earth"
Well, I have never heard of this band before but that often happens with releases from Nasoni Records. Where did this cool band come from?? Anyway, the band comes from Port Orchard, Washington and features a classic three piece line up. Some people might recognize the name Shawn Johnson who played in Mind Funk, maybe not?? Anyway, what about the music? This is down and dirty heavy Black Sabbath influenced rock with a bit of Mountain and Leafhound thrown in the mix but never as rocking or heavy as the band create a lot of more mellow and psychedelic textures in their music and mix things up a lot. This is a record that you really have to hear a lot of times before it really sticks with you, but then it will hold you and you will see all the cool sides. Quite a very cool trip… hope you take it. For more information you can visit the Mos Generator web site at: http://www.myspace.com/mosgenerator.